Samsung Galaxy A5 A510F ear speakers don’t go out that easy, as normally they are well protected in the cover, but that doesn’t really mean that they are invincible. Obviously, they are more prone to any kind of physical or water damage just like every other component of the phone. 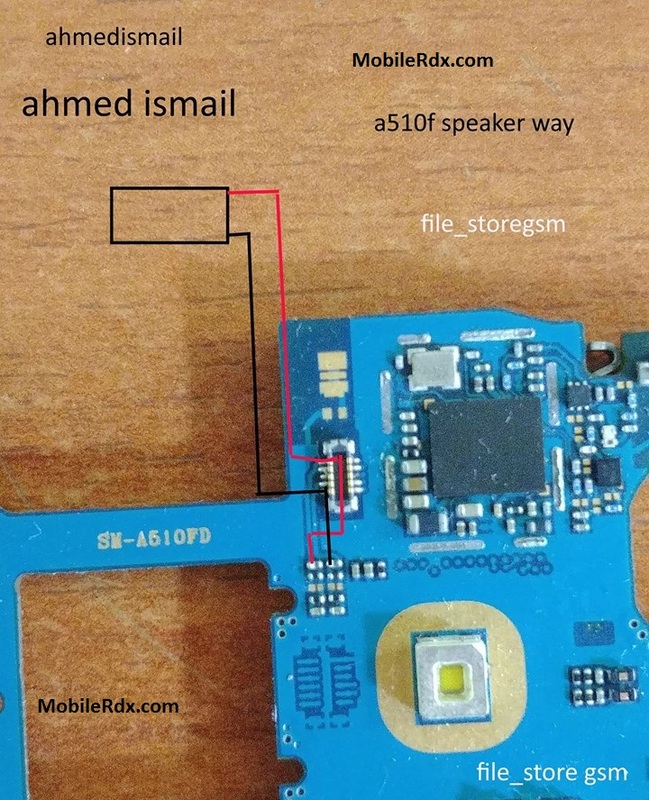 Speaker of the phone is considered to be one of the most vital sections of your phone, and this is because if you are giving speaker problems in your Samsung Galaxy A5 A510F, then you will neither be able to hear anything on call, and neither you will be able to listen to any of the songs or watch videos on your phone, however, it will only be good for texting purpose. Therefore if you are going to Samsung SM-A510F speaker problem then you would definitely want to resolve it in the first place before it gets any worst. Following is the set of Samsung Galaxy Grand Prime G530H speaker problems, reasons of these problems, workaround and permanent hardware solution of these problems. The low sound in speakers. Now Check capacitor whether it is short, as this might also be the cause of problem. Put jumper if it is faulty, as one of the reasons for this problem is that the phone heavily dropped or water damage. Check the diode by using multi meter, if it is faulty then change it. If you have further Questions please leave a comment. Note: Please note that even though every solution posted on our website is tested by one or more members of our team before posting, but still we do not take any responsibility for any damage it may cause to your cell phones. Use these repairing solutions at your own risk. Thank You.